Since part of caring for a dog is cleaning up after they’ve done their “doody”, owners are keenly aware of their pup’s individual bathroom habits and what comes from it. The slightest change in frequency, shape, size, color, etc., can have you concerned. 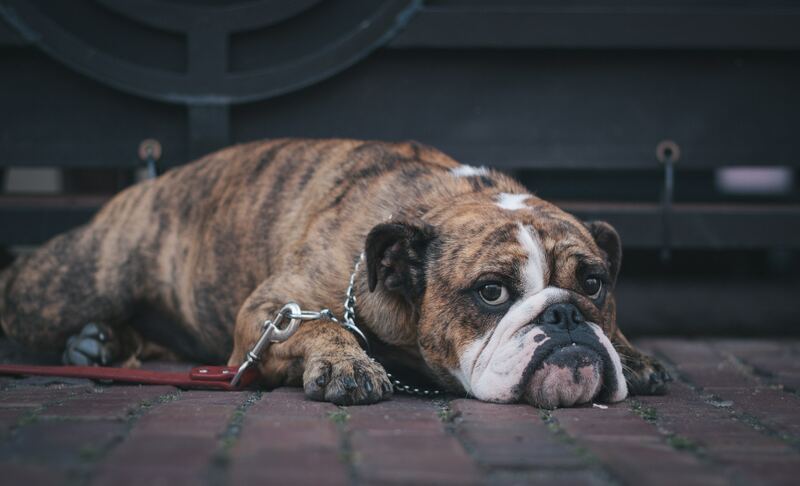 Here, we lay out ten reasons your pup could be experiencing changes in their routine, bowel movements or urine and what you can do to help get them back to “regular” order! Happening most often in puppies under a year old, submissive peeing occurs when your puppy is trying to demonstrate to you (or another dog) that they are not a threat. This results in sudden puddles throughout the house and is often mistaken for a regression in house training. Prevent this innate response in your puppy by staying calm when it happens and avoid giving them a reaction. Getting upset or overreacting will only reinforce their sense of intimidation and lead to more “accidents”. Another situation mistaken for regression occurs in dogs 6-18 months. Just like humans, your adolescent pup experiences some major changes in their brain and this can sometimes lead to a resurgence of accidents happening in the house. Your best option is to stick to a routine and return to rewarding successful bathroom breaks! Seeing a sudden change in the color, consistency, odor, etc., of your pup’s stool can be alarming. If your dog likes to scavenge, it could be caused by something they picked up on one of their adventures so it’s important to pay attention. You should always contact your animal health professional if your pup’s stool appears bloody, they seem in pain or there are other symptoms with the change in stool. You can prevent these mystery poops by keeping your yard and home free of unofficial “chew toys” and other hazards. Amazingly, some dogs have the ability to sense a change in their owner’s health. Attempting to alert their people to these changes, they will begin urinating, sometimes right before a medical emergency occurs, like a seizure or heart attack. The relationship between humans and their dogs is truly an amazing thing! By the time you bring your new puppy home, it’s likely they’re leaving the only environment they’ve ever known. This is a major change for a little pup to deal with and it can sometimes lead to a few days (even weeks) of loose stool. Providing a caring environment and keeping a watchful eye is your best bet in this situation. If you don’t see a return to firm (but not hard) stool after a few weeks, or if there are other accompanying symptoms, it’s time to visit the vet! Just like people, some dogs have a nervous stomach. Similar to what can happen with a new pup, if there are sudden changes in the household (new baby, someone moves out, etc.,) your dog can experience a certain level of stress, leading to loose stools or even sudden accidents after being housetrained. As in most situations, the best way to manage this is to stay calm, comfort your pup whenever possible and maintain a regular bathroom routine. A change in stool can sometimes be an indication that your pup has developed or has an allergy or intolerance to something. Schedule an appointment with your vet if you suspect an allergy. You should always get the advice of your dog’s health practitioner if a sudden change in stool or urine accompanies symptoms like lethargy, blood in the stool, major discomfort, etc. On-going diarrhea is sometimes the sign of another underlying issue and medical concerns should always be ruled out. As our pup’s age, they can sometimes experience changes in their bathroom routines. Similar to humans, our puppies-at-heart can lose control of their bladders (not able to hold it as long) or even “forget” their body’s cues for needing to head outside. It’s incredibly important to have your senior dog checked out by a veterinarian so they can help pinpoint the reason for the change and what steps you can take to address it. Choosing to feed your pet TLC is an excellent decision and promotes lifelong health and longevity. Avoid upsetting your pup’s stomach by transitioning over time, using the instructions provided on the bag. Changes in stool can occur and should return to normal after a couple of weeks feeding premium quality TLC! COMMON QUESTION: My puppy is eating his poop, is this normal? Although there is plenty of misinformation out there claiming that a dog eating its own feces is a sign of malnutrition; this idea has largely been debunked by leading Nutritionists, Animal Behaviorists and Veterinarians. Accepted theories include that they may just like it, especially if they’re fed a high-quality diet packed with quality proteins, fats and oils (which would also be found in their poop). Another thought is it could be an instinct, leftover from their wild ancestors who might have eaten feces as a way of tidying their living quarters. Regardless, there is a way to help discourage the behavior by immediately removing the poop, bringing them inside and offering a treat. By repeating this action, your pup will come to expect the yummy treat and should lose interest in their feces.